All of our team members have a very unique story. They have forged a successful life through typically unconventional choices. Each have their own unique spark inspired by creative forces with a drive to improve lives and make lasting change in the world. Tim has over 20-years of experience as a master facilitator, organizational effectiveness consultant, and executive coach. With a unique background in the use of theatre and action methods for organizational change and leadership development, Tim has designed and delivered distinctive programs for clients across diverse industries including technology, financial services, consumer products, manufacturing, health care, higher education, family businesses and non-profits. He is a 30 year veteran of Playback Theatre, an original form of improvisational theatre based on the enactment of personal story. An accredited trainer for the Centre for Playback Theatre, Tim has performed with, founded, consulted to and coached Playback companies in 5 countries. As a contractor to other firms, he has traveled the globe coaching and teaching leadership and communications at NASA, KKR, the CIA, BCG, The US Federal Reserve, American Express, McDonalds, the Abu Dhabi Investment Authority, and many more. Tim has been a visiting professor at Antioch (Keene, NH), New York University and the Stockholm School of Economics, has taught for Executive Education programs at Harvard, Columbia and Duke Universities and has served on the boards of several non-profits. Once a music teacher in the Boston Public Schools, Mr. Van Ness weaves his experience as an actor, director, educator, improvisor, business leader, songwriter, and classically trained musician to provide each client a unique experience specifically suited to their individual need. Kevin is particularly gifted at seeing multiple perspectives at once and helping others do the same. He brings a wide array of expertise to VNCo with deep and broad experiences across many industries. His core concentration is in marketing and IT. Most recently he worked as a Director of Marketing at various organizations. He has also run operations as well as project management and customer service. Kevin is currently developing assessment software for organizations seeking to provide prospects with customized content. Randall is one of those people you fall in love with the first time you meet him. He seamlessly integrates his skills as a US Coast Guard licensed captain and a Certified Flight Instructor into his consulting, training and coaching. He has worked as a global sales director for a consumer goods company for over 7 years. He speaks seven languages and has consulted to dozens of international businesses, specializing in cross-cultural communication and small business marketing. In addition to a being himself a serial entrepreneur and real-estate investor, Randall is a classically trained vocalist and a touring songwriter, having traveled and performed in over 70 countries. Will Chalmus is a true success story. He has been working with VN&Co since 2013. Will C. was born in Philadelphia and grew up on the streets of Boston under intensely challenging socio-economic circumstances. He worked and “willed” his way into a superior situation. Now an adjunct professor at Brandeis University with an M.Ed from Harvard’s Graduate School of Education and a BA in Theater Arts from Brandeis, Will C. is a highly skilled facilitator of personal, communal, and leadership development. He has led programs in the US, Canada, Germany, Brazil and Australia, is the founder of various theatre companies in New England and has served on the board of directors for the Centre for Playback Theatre. 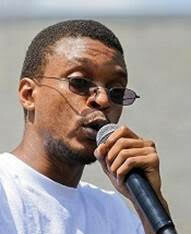 Will C. is also a highly respected hip-hop artist, lyricist and M.C. that performs solo acts and with multiple bands. Sheila Donio genuinely has the passion and commitment many people long for. A Brazilian actress, theater director and highly skilled workshop facilitator, Sheila has been performing, teaching and facilitating team building workshops internationally for over 14 years. An accredited trainer with the Centre for Playback Theatre and currently serving as its Board Chair, she lived in the United States between 2008 and 2015. During that time she worked at Brandeis University doing Arts and Social Transformation work, founded her own training team-building company – SDW and worked with some of VN&Co’s most important clients. Jesse has a unique gift in bringing out the best in people. He is passionate about asking the right questions and exploring the power of improvisation to spark growth, explore unknowns, and bring about lasting change. Working with VN&Co since 2006, Jesse has been a coach, teacher, director, film maker and administrator for over 25 years. He directs the theater program at Berkshire School in Sheffield, MA, a role he has served at a number of independent schools nationally. He and his family live in Western Massachusetts where they avidly play games, work on projects, and get the most out of life. Susan is one of the funniest and most captivating storytellers you’ll ever know. She has worked with VN&Co since its inception in 2004, and with Tim on various corporate and creative projects for years before that. Besides being a corporate trainer for over 12 years, Susan is featured as one of the “300 Best Professors” in the U.S. by The Princeton Review. The Associate for Public Speaking at Amherst College, she formerly served as the Public Speaking Faculty for Capstone Initiatives at the Weissman Center for Leadership, and chair of the Department of Theatre Arts at Mount Holyoke College. A graduate of both Mount Holyoke and the Drama Studio London, Susan has more than 30 years of experience as a professional actor, director, theatre producer and public speaking coach. Joel’s unique combination of intelligence, creativity and wisdom makes him a true collaborator. He has over 20 years of experience as an executive coach and leadership trainer on four continents. He is an expert in inspiring action, leadership presence, building confidence, fostering team development, approaching difficult conversations, and work-life balance. Trained in theatre and a long-time performer of theatrical improvisation, Joel is also a certified Drama Therapist and the creator of Psolodrama. If you are interested in working together, send us an inquiry and we will get back to you as soon!